London (AFP) – The BBC launched a new Korean language radio and online service on Tuesday that will be available to listeners in North Korea if the signal is not blocked. The service, part of the BBC’s biggest global expansion since the 1940s, will have a dedicated team of journalists in Seoul, London and Washington. “Audiences in the Korean peninsula and Korean speakers around the world can now hear radio broadcasts and access the latest news online,” the BBC World Service said in a statement. “BBC News Korean will build on the long-standing reputation for fairness and impartiality the BBC World Service has earned all over the world,” said Francesca Unsworth, director of the World Service. A World Service spokesman said without giving further details that monitoring by the BBC had shown that “for the most part” the new broadcasts were getting through to North Korea despite “jamming”. The service is broadcast on shortwave for three hours a day and one hour on medium wave, seven days a week. 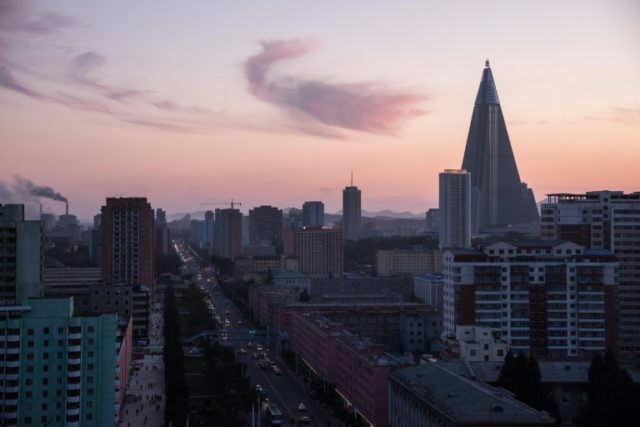 Listeners could face heavy punishment for tuning in in North Korea, which was ranked the second worst country in the world for censorship after Turkmenistan by US human rights group Freedom House. Korean is one of 12 new BBC services being rolled out this year thanks to a £291 million (332 million euro, $393 million) grant from the British government, including broadcasts in Pidgin, Punjabi and Yoruba.